We finally have the Shadows Over Innistrad Intro Pack decklists from the mothersite today. Magic: the Gathering players have the opportunity to pick one up at select gaming stores to duel with during Shadows Over Innistrad PreRelease events going on this very weekend. As fog rolls in to blanket the coast, the spirits of the dead swoop into battle. Relentless as the tide, your ghostly creatures are full of surprises. They'll appear out of nowhere, washing over your opponent in an inexorable advance. Horrors lurk in the darkness, and even the angels have gone mad. 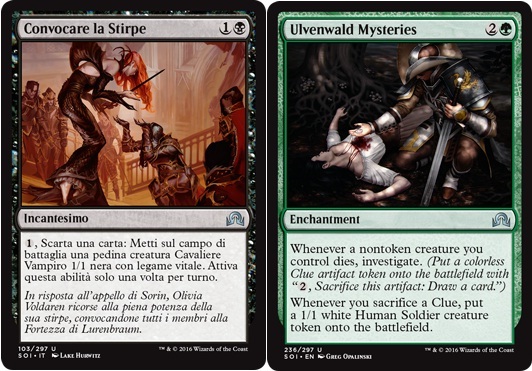 Now you can explore these mysteries and turn your knowledge against your opponent. As you uncover more and more clues, you'll gather the creatures and spells you need to claim victory. Madness sweeps across the land, and vampires drop their veneer of sophisticated nobility to indulge in their brutal thirst for blood. 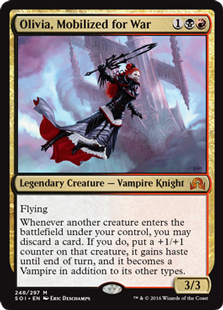 Before your opponent can react, your vampires will dominate the battlefield, seizing victory as they feast. Violence and destruction sweep across the land. 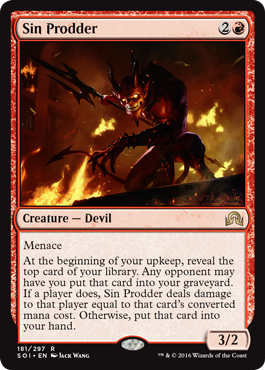 While horrors emerge from smouldering chasms and angels turn on humanity, the people of Innistrad are caught up in the fires of vengeance. Fueled by the flames, your creatures will sweep over their enemies to claim victory. Delving into eldritch secrets can shatter the mind, but it can also bring great power. 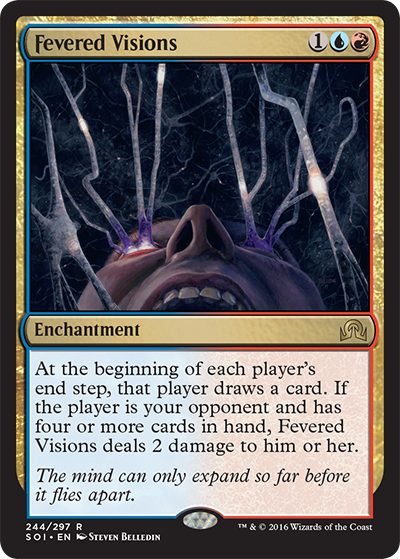 As you bring a wide variety of arcane magic to bear against your opponent, you'll grow closer and closer to the unearthly insight that will lead you to victory. 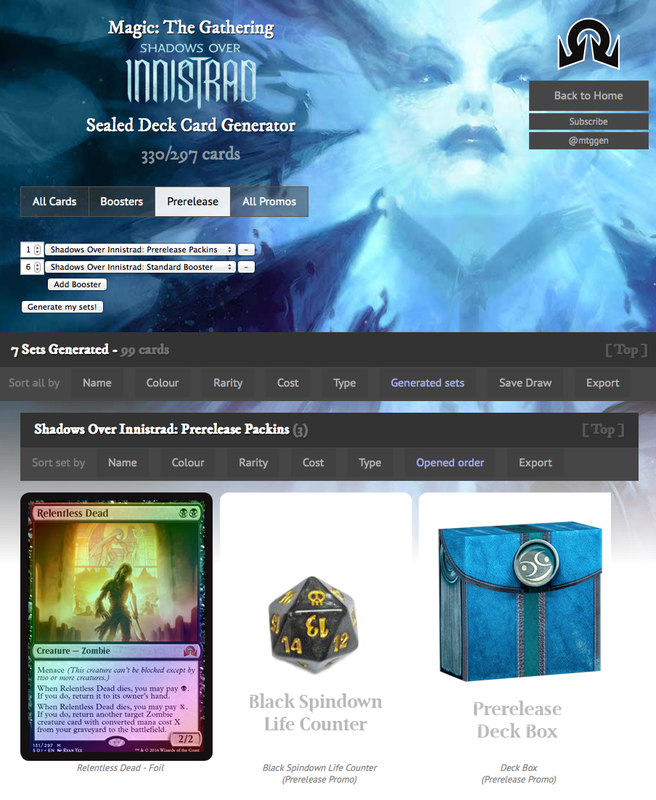 Countdown is on now to the Shadows Over Innistrad PreRelease this WEEKEND !!! 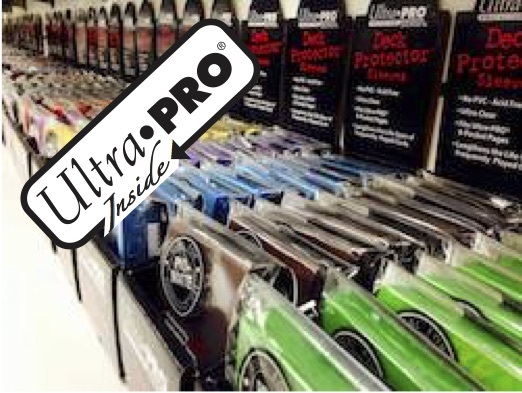 To find a gamery shoppe near you hosting a prerelease event, pop on over to the Wizards Locator page. 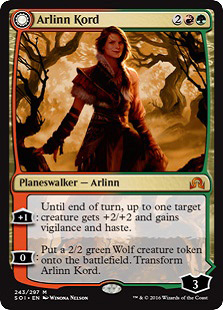 • a randomized, date-stamped, premium promo card, drawn from any rare or mythic rare in the set. 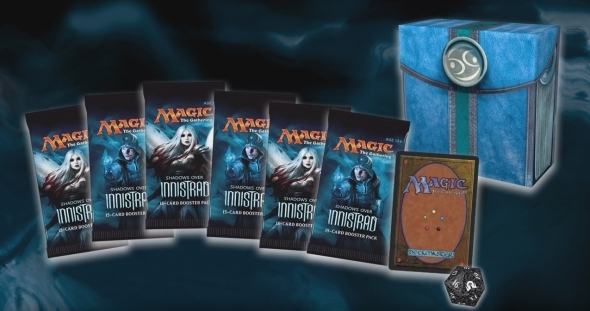 It has been a wild ride here in Town since Wizards of the Coast provided the full reveal of the next Magic: the Gathering set, Shadows Over Innistrad. We are talking about a major winter storm / freezing rain even taking power out to most of the city and surrounding region and the family clan coming over for the Easter Holiday. We are just finally getting to catch our breath now, and since we have power and an internet connection, we have a lot of catching up to do. For now, here is the full text list of all 297 cards (basic lands excepted) from Shadows Over Innistrad. We hope to get to some new and emerging archetypes in later posts which may spin out from this new set. Mothersite preview. 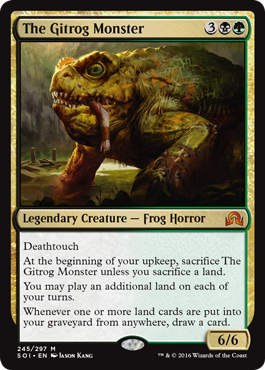 We can easily see some Commander players giving this a try in a Golgari landfall strategy. Very interesting and fun build-around challenge. Sheldon Menery / Magic Judge preview. Very cool slow-roll puzzle piece preview here by-the-way. 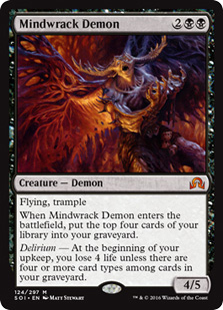 This seems like a decent enough Simic clone but some would argue it may be a little on the expensive side with 4 cmc. 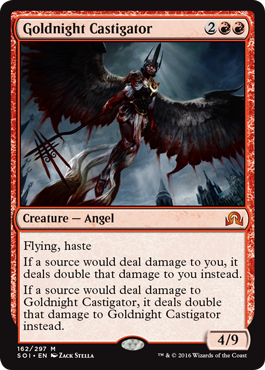 We think that the extra and optional hard counters and the 'can't be countered' ability justifies this cost. At the beginning of your upkeep, you may discard your hand. If you do, draw that many cards. Ligamagic (Brazil) preview - Portuguese rough translation. 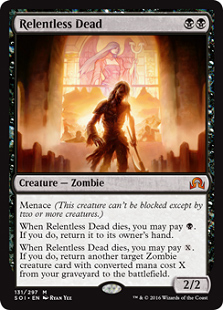 Another decent zombie and we certainly appreciate the 'may' discard to help filter the right cards into your hand. 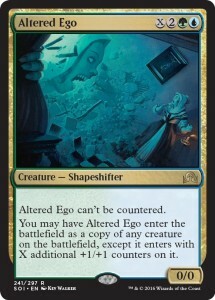 Tolarian Community Colledge preview. Amalgam (not the metallurgical definition) is a combination or blend of diverse thingys. 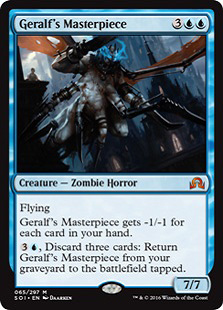 Damn interesting card here which may be a part of a standard constructed repetitive reanimation list with support from the likes of Diregraf Colossus, Geralf's Masterpiece and Relentless Dead. 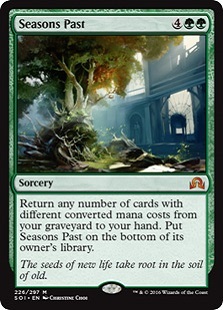 There may also be a shot for Modern as well with Gravecrawler and Stir the Grave. In other news, the Zombie art from Karl Kopinski could be dead Tony Stark. JeuxVideo preview. When you see French text 'engagé et attaquant', get hyped. We love that these decent sized tokens don't evap at end of turn but sticks around. 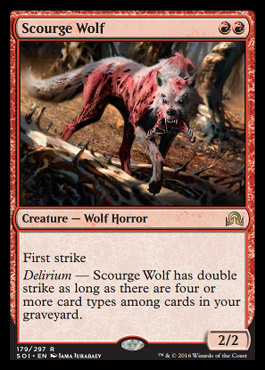 Seems strong with the only downside to ensure you get the delirium tech going to churn tokens. MTG Goldfish preview. Is Umbrella Corporation up to its evil shenanigans again? This is that mutant mutt Ryan Reynolds (character Hannibal King) meets in the 2004 film Blade: Trinity. That or someone forgot to evac Rover during take your pet to work day at the Fukushima Daiichi nuclear power station. 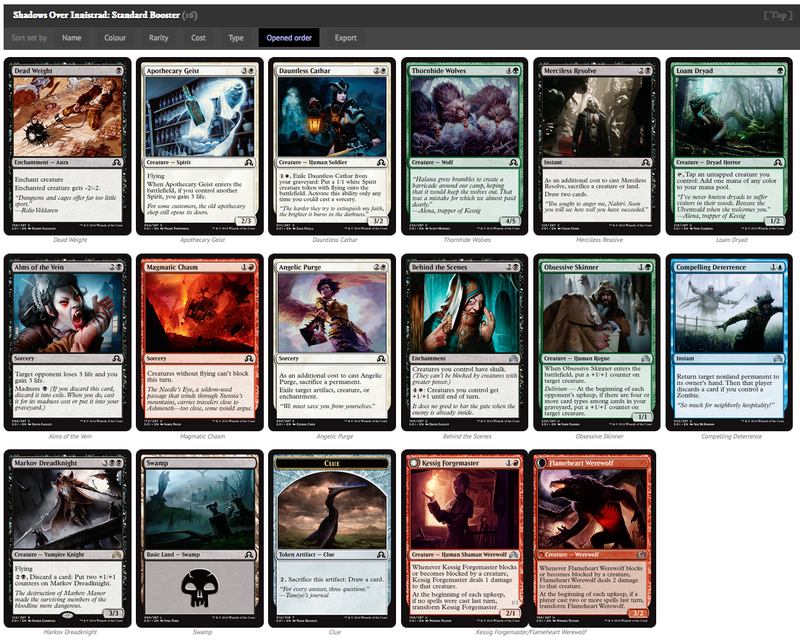 Suggested serving is in a red deck wins list or perhaps even wolf tribal. 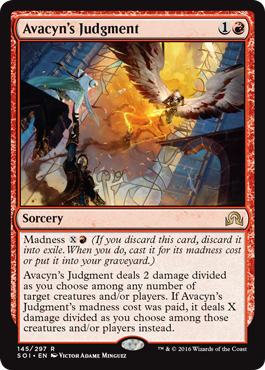 All inexpensive Enchantments (cmc 2 or less in the case of the green one) which has an activated cost to sacrifice for an effect. Mothersite preview. This is the evil twin to Gisela, Blade of Goldnight. Likely a decent sideboard against control or perhaps (stretching it a bit) an 'all-in' aggro strategy. If you are going for the latter and do not want to feel the sting of the serious down-side of this, we suggest pairing with Assault Formation, so we can get the Castigator starting a very fast clock with 9 evasive damage. 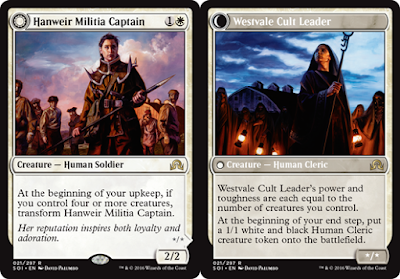 At the beginning of your upkeep, if you control four or more creatures, transform Hanweird Militia Captain. ARS Technica UK preview. Solid flavour here. 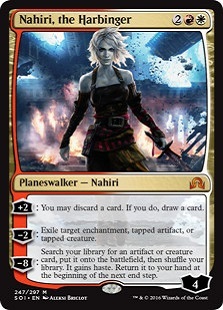 This appears to be able to flip reasonably quickly, especially going with red / white human (tribal) with the likes of Pia and Kiran Nalaar in standard. We love us some token generators. At the beginning of each player's end step, that player draws a card. 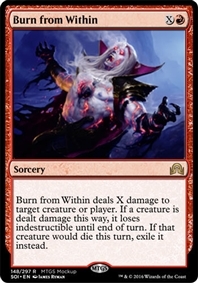 If that player is your opponent and has four or more cards in hand, Fevered Visions deals 2 damage to him or her. BrainStormBrewery preview. If you are a fan of the tall stacks, we suggest dropping this into your 99 along with Nekusar, the Mindrazer as Commander / General. Mothersite preview. 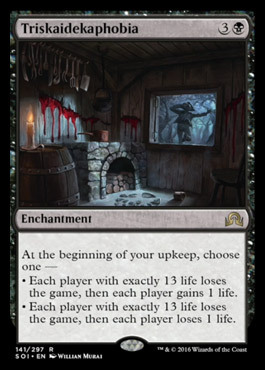 Nice burn spell but will likely see only the sideboard against tokens perhaps. 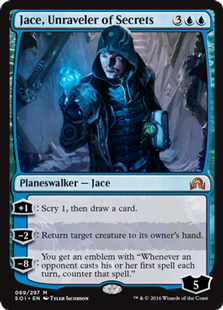 As for the art - it looks like Tamiyo is helping Jace out of a tight spot. Hope all had a great weekend. Our weekend kicked off with Friday Night Magic at our local gaming store, OMG! Games here in Barrie, Ontario where our Hardened Scales decklist performed decent and took third place. We certainly did not take the rest of the weekend off but remained ever vigilant for any Shadows Over Innistrad previews being revealed. 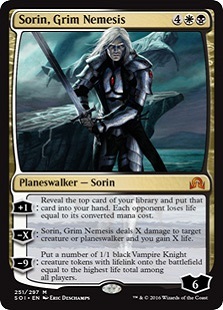 There was two additional previews over the weekend which was immediately reposted to our MTG Realm blog. 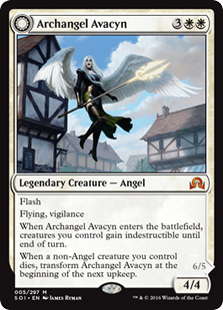 Late day preview from Wizards MTG Twitter. 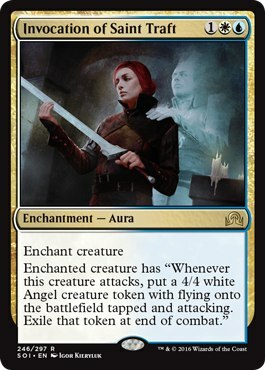 The only thing which would have made this excellent nod to the original Geist of Satint Traft is having the aura give the enchanted creature hexproof as well. 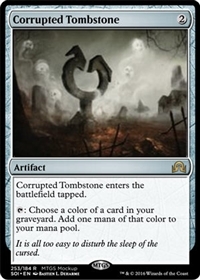 Corrupted Tombstone enters the battlefield tapped. 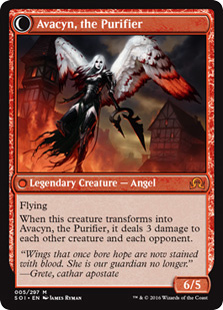 Hareruya MTG preview. Great mana rock in a variety of different formats. MTG APAC preview. 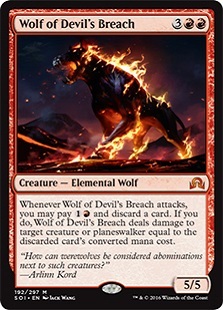 Solid burn spell and great spot removal for some of those indestructible critters. Mothersite preview. 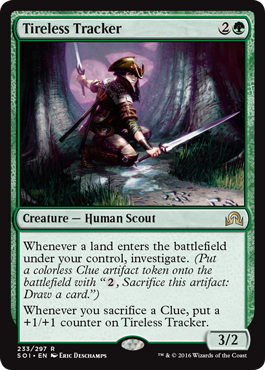 If you like Clues, then tune in to this card which is expected to not only generate those clue sac 'n' draw artifacts but also provide a hard counter pump for the Tracker here. Mothersite preview. 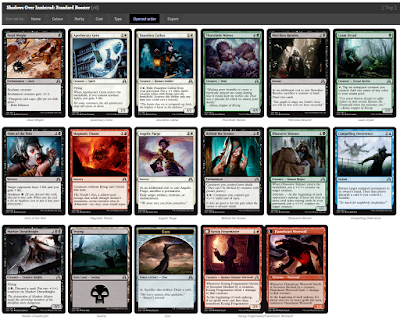 Not that bad as a potential draw engine - especially for red. The potential snag here is that you may need to put a land you need into the graveyard so plan ahead. 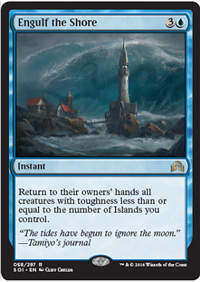 Return to their owners' hand all creatures with toughness less than or equal to the number of Islands you control. 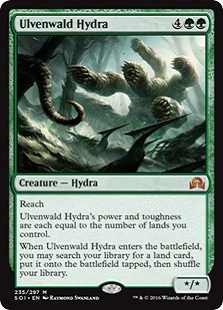 Pure MTGO preview. Notice Cthulhu saying wassup in that monster wave? 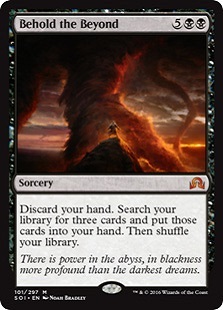 This card is certain to be part of control. Rare allied-land cycle previewed by the MTG EU community managers. These 'Show' or 'Reveal' lands are five rare dual lands that enter the battlefield tapped, unless you reveal a land with the corresponding basic land type from your hand. These could be playable in Modern as one could potentially reveal a dual land (a card with two lands in the type line) to have this come into play ready to tap for mana. Along with the uncommon enemy colour taplands, the set looks great. • Convene the Race - Orgoglio Nerd (Italian) preview.